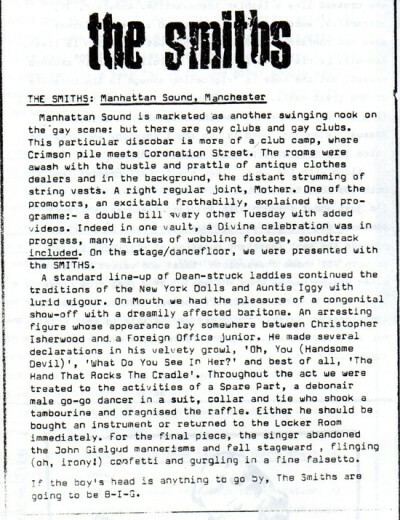 Possibly the first ever Smiths live review! 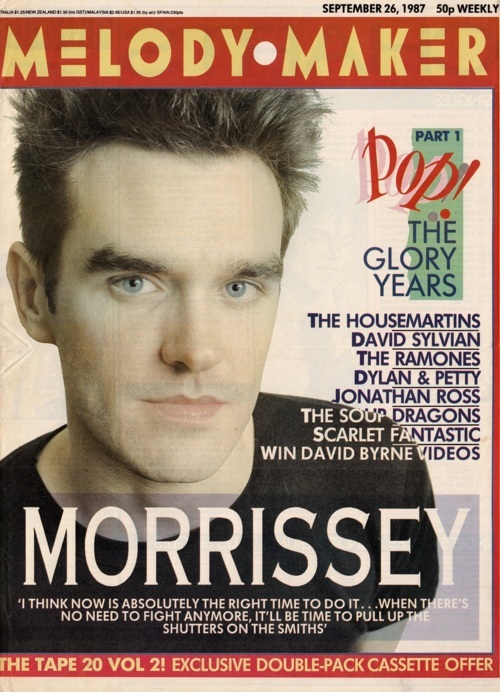 Originally appeared in the fanzine City Fun. 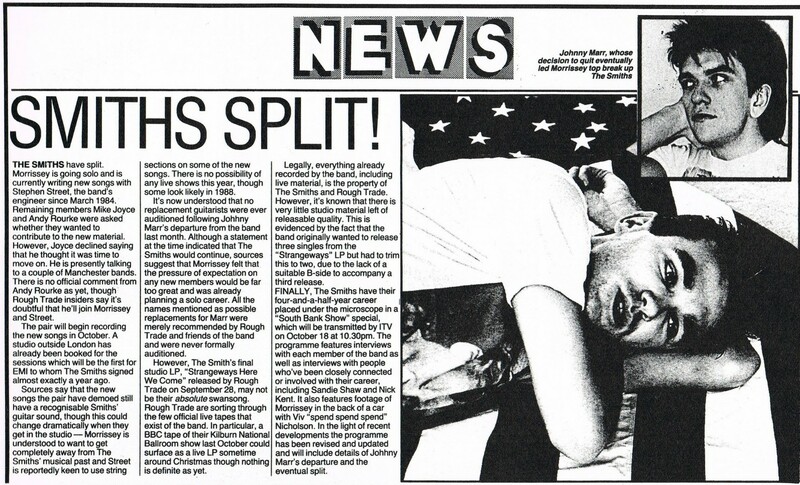 This news item detailing the break-up of The Smiths originally appeared in the September 12, 1987 issue of Melody Maker. 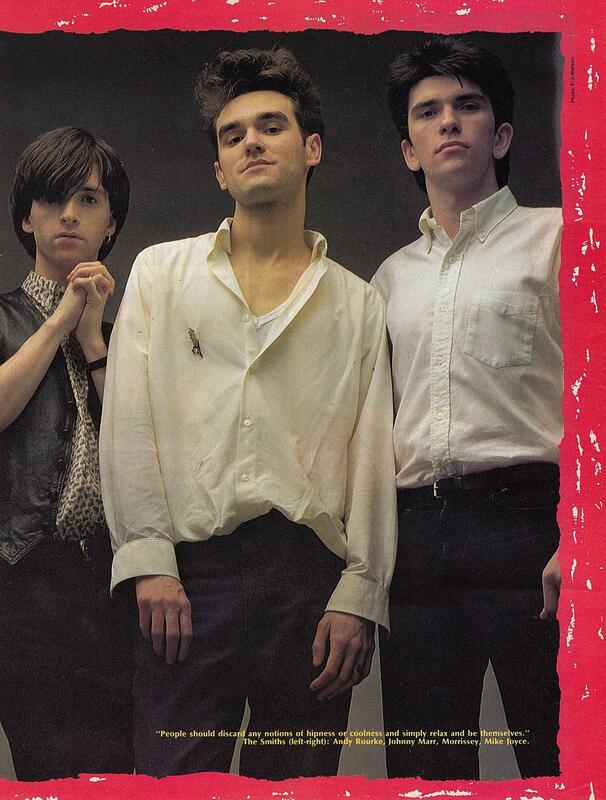 Note that the photo of Mike Joyce has mistakenly been identified as showing Johnny Marr. 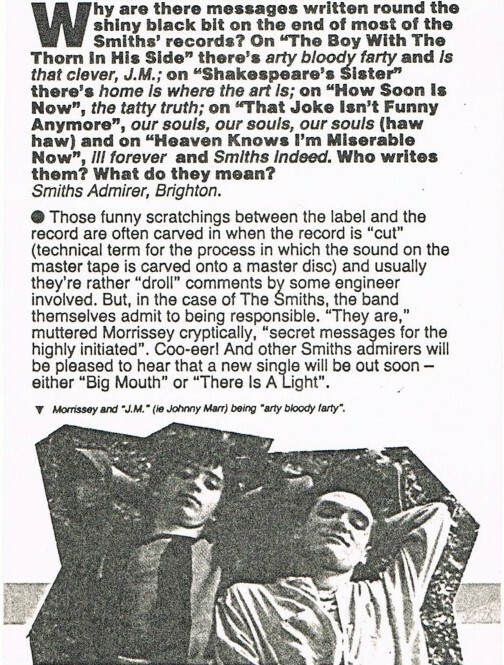 Morrissey talks to Dave Rimmer in the February 16, 1984 issue of Smash Hits. 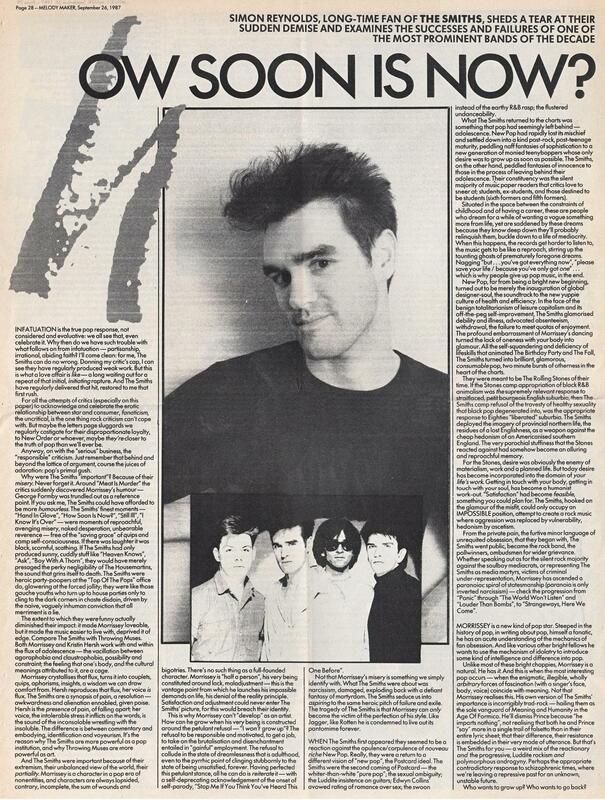 Simon Reynolds says goodbye to The Smiths in the September 26, 1987 issue of Melody Maker. 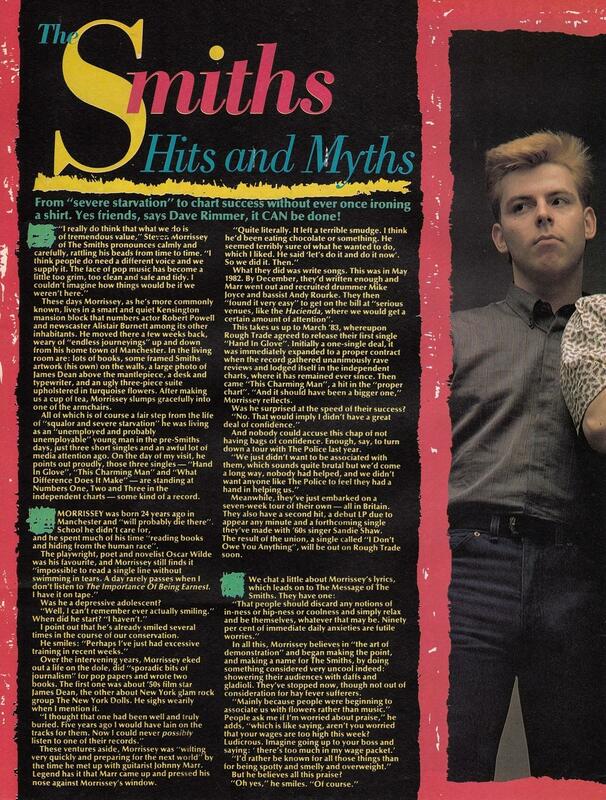 This review by Imogen de la Bere originally appeared in the May 2, 1987 issue of the New Zealand Listener. 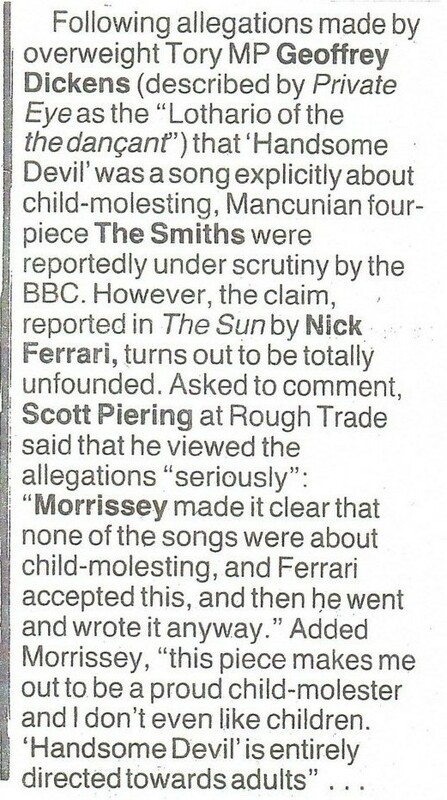 Brief report in New Musical Express (September 3, 1983) on the ‘Handsome Devil’ scandal.